It’s a brand new day as the Power Harvesting Challenge begins. 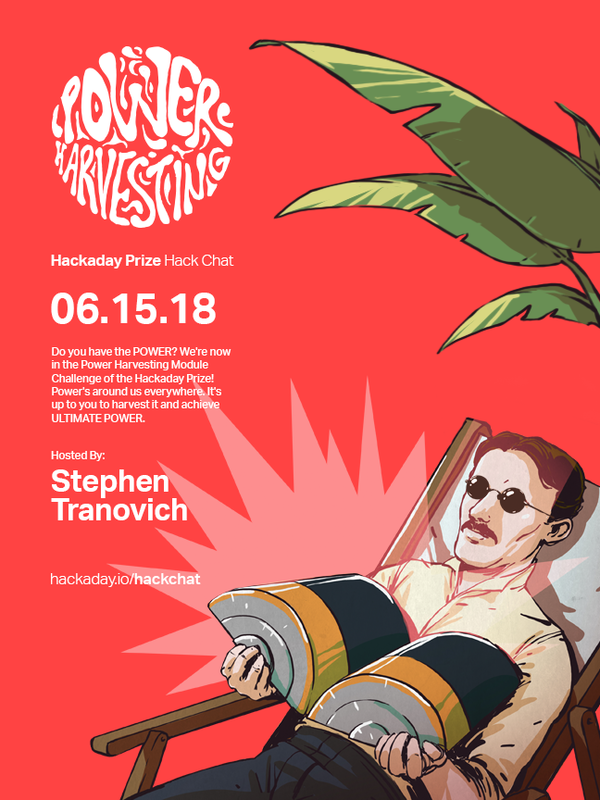 This is the newest part of the 2018 Hackaday Prize and we’re looking for 20 entries who will each receive $1,000 and move onto the finals to compete for the top five spots, scoring cash prizes of $50k, $25k, $15k, $10k, and $5k. Put simply, Power Harvesting is anything you can do that will pull some of the energy you need from a source other than wall-power or traditional battery tech. The most obvious power harvesting technologies are solar and wind. Ditch the battery in your doorbell for a solar panel, or turn your time-lapse camera rig into one that tops its battery with a tiny wind turbine. On the other end of the spectrum you could go nuts with chemistry and develop your own take on harvesting power from saltwater, or sip off the ambient RF waves all around us. We live in an amazing time as chip manufacturers have squeezed every low power trick out of their silicon dies that they possibly can. The Power Harvesting Challenge is the complement to those achievements: can we now squeeze as much energy out of non-traditional sources as possible to further reduce our energy footprints?